Howard Jackson is a Liverpool-based author, who runs Red Rattle Books, an Independent publishing company, specialising in crime and horror. Some of Red Rattle’s titles include Treat Me Nice Elvis, Frankenstein Galvanized, Mortal Shuffle and Spooky Isles’ horror anthologies, Dracula’s Midnight Snacks and Zombie Bites. In the movie ‘Skyfall’, James Bond for the first time is given a double. The idea fits the picture. Bond is caught between the past and the future. To say he triumphs does not qualify as a spoiler. This is Bond after all. But the triumph requires Bond to revisit his childhood home. In the very final scene, we see a happy Bond. His success has recreated the cosy past that had been threatened. It is not believable because the scene insists upon the impossible, that the future can be denied. We await the next film wondering if this absurdity can be maintained. For once, though, Bond is more innocent at the end of the film than at the beginning. In the 19th century, the conflict between past and future was greater than now. What exists in the new Bond appears out of date as if British insecurity about fading eminence is being disguised as a clash between tradition and modernity. In the 19th century, nobody was faking. Modernity had only recently arrived. Whilst the rich and powerful welcomed it as an opportunity to make money others had doubts. This was the generation that not only was obliged to embrace the future but slaughter the past. It produced torn individuals. At the end of the 19th Century, the future had real possibilities. All it required was callous conquerors and compliant citizens. The past was being obliterated and guilt and complicity was everywhere. Or so it seemed to writers. Robert Louis Stevenson, Oscar Wilde, Bram Stoker and Mary Shelley all produced major works that either had doubles or a hero that qualified as a double. Frankenstein who had complete faith in the future had his monster, a creature that yearned for the past. 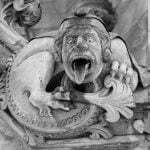 As well as a vampire that had alternative manifestations, Bram Stoker created women ready to leave the past and lose their morality. Oscar Wilde had a hero trapped by the promise of the future. Robert Louis Stevenson, though, went further. He created a man who had two people inside the same personality. Some will say that should be the other way around. It should be two personalities in the same person. But Stevenson is clear that Jekyll, like Frankenstein, has his destructive desires. There is, though, no unreliable narrator. Jekyll admits he is addicted to the glory and power of Hyde. Dorian Gray is the same as Jekyll and so is Dracula. They all want something that in the past had been prohibited. In the 19th Century, ecstasy was not just feasible but available to buy. The writers of the 19th Century feared the consequences. This is very different from the middle of the last century when writers rushed to be more libertarian than the next. What was the difference apart from 70 years? The mid-60s provided comfort and full employment. People believed in the future and a new age of enlightenment. Stevenson, Wilde, Stoker and Shelley were more wary. They created horror because back then it really was scary. And now? Well, we do have a different James Bond. HOWARD JACKSON is the author of Treat Me Nice Elvis, his music and the Frankenstein Creature. 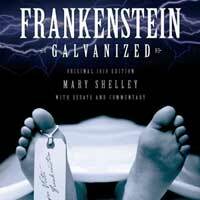 He is also one of the contributors to Frankenstein Galvanized which is edited by Claire Bazin. Treat Me Nice and Frankenstein Galvanized are published by Red Rattle Books, which can be followed on Twitter here.